Frozen section of chicken spleen stained with Mouse anti Chicken IgM (MCA5680). 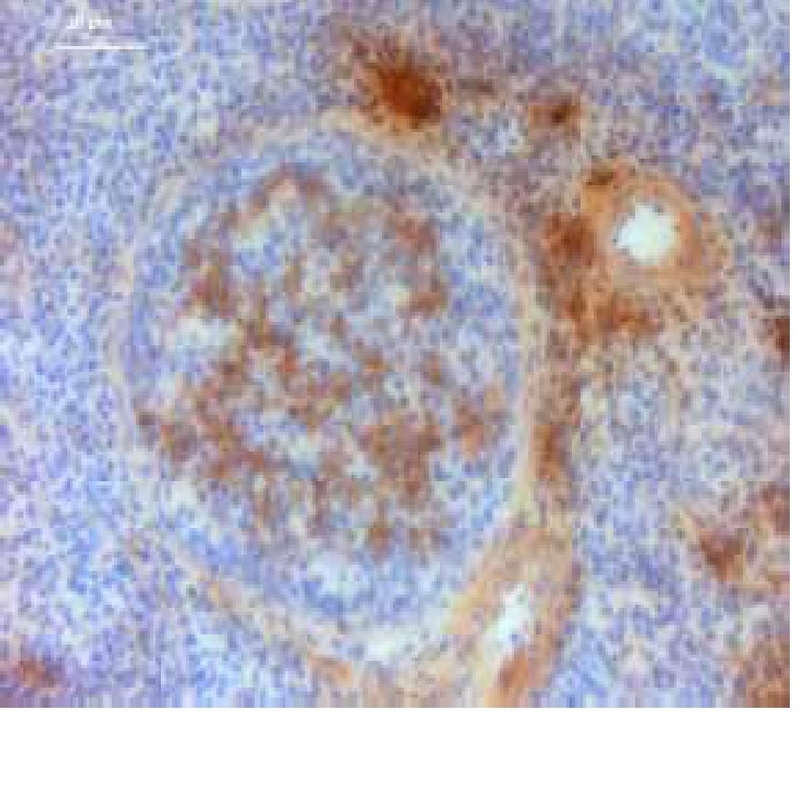 Mouse anti ChickenIgM antibody, clone a-chIgM recognises chicken IgM. Purified chicken IgM heavy chain. MCA5680 detects a large band of approximately 80-85kDa using purified chicken IgM under reducing conditions.